Did you know that Facebook allows you to share your current feeling or activity in News Feed posts? For instance, if you’re currently watching a movie, you can add “Watching [movie name]” to your post as an activity. Or if you’re feeling excited about something that’s happened, you can add an “excited” emoji and label to your post. Our guide will show you how this works. Step 1: Near the top of your News Feed, tap “What’s on your mind?” to begin creating a new post. From there, you’ll see three tabs across the top of the screen. Here’s how they work. 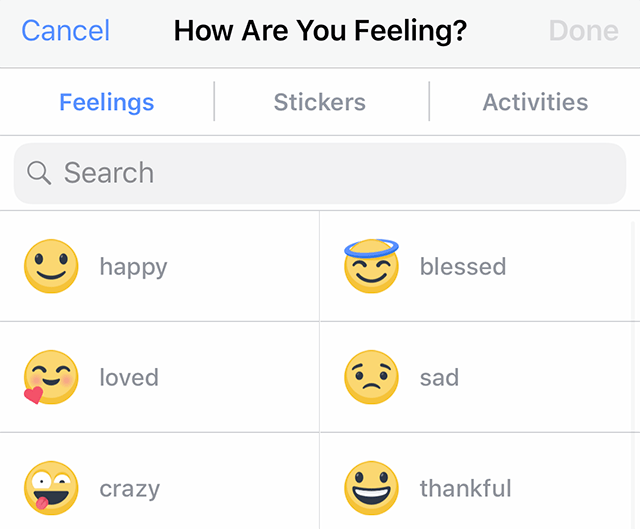 If you want to tell people how you’re feeling, tap the appropriate emoji to add that label to your post. Or, tap the search bar near the top of the screen to search for a feeling manually. 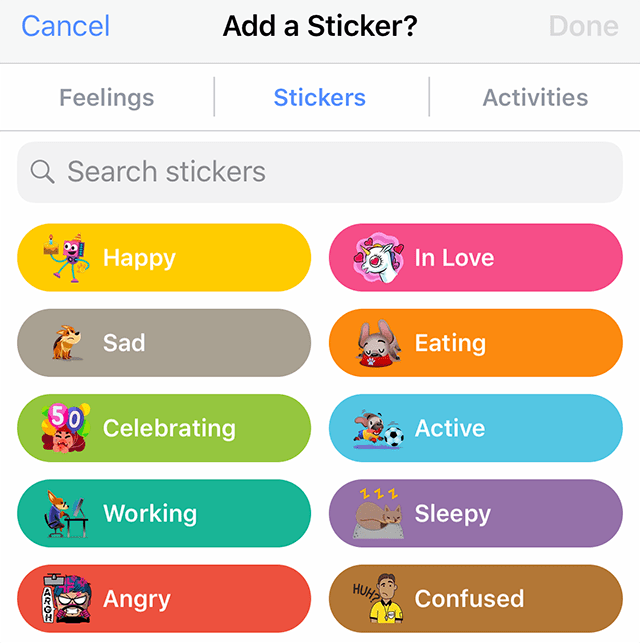 If you want to share your feeling or activity in a sticker, rather than by using text, tap “Stickers” at the top of the screen. 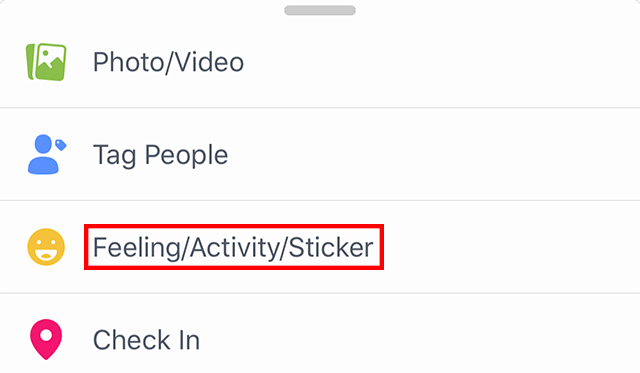 From there, tap one of the categories to view the available stickers, or tap “Search stickers” near the top of the screen to search for a sticker manually. 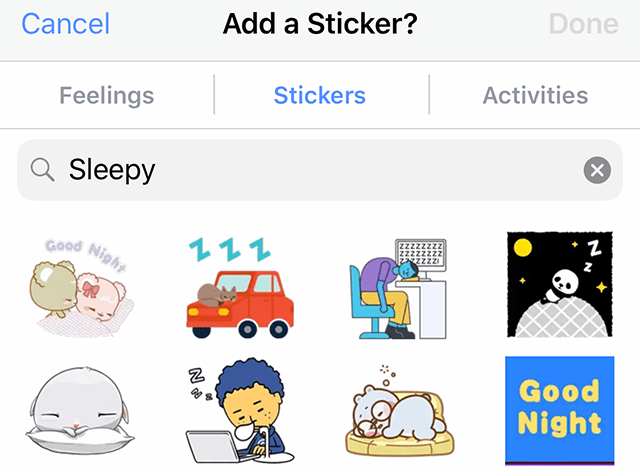 When you find a sticker you want to share, tap it to add it to your post. 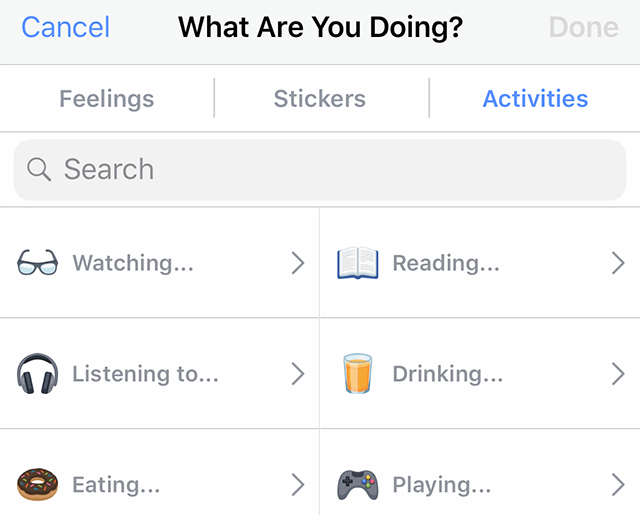 If you want to share an activity, tap “Activities” at the top of the screen. Next, tap one of the activities, or tap the search bar at the top of the screen to search for an activity manually. 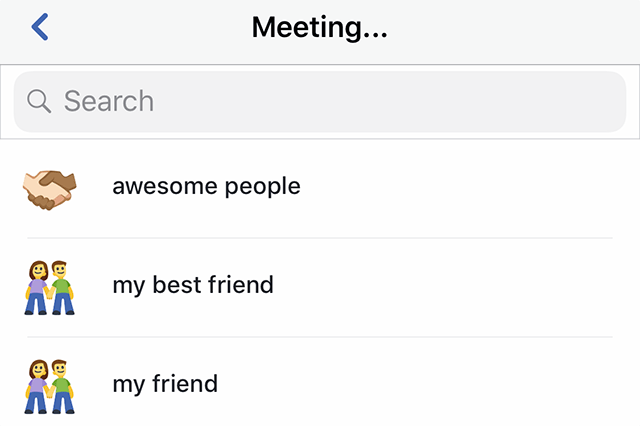 Once you’ve tapped a general activity, such as “Watching…” or “Meeting…,” tap one of the options to fill in the end of the phrase, or tap the search bar at the top of the screen to search for an ending manually.